Welcome to our blog your number # source of educational news, today we are going to throw light on the much secretive UNIJOS FEES. In this article you shall find out what the university of Jos pays charges as school fees, acceptance fees and hostel accommodation fee, we shall bring everything to light. We understand that what brought you here and why you took interest in this article was because you chose the university of JOS as your preferred institution when you where registering your jamb exams. Now is the time to plan your self, decide how to cough out all money such as school fees, acceptance fees and hostel accommodation fee if eventually were offered admission into the prestigious UNIJOS. 2 UNIJOS School Fees Schedule. For those who want to know the university of Jos school fees then we have taken time to compile this table for you. 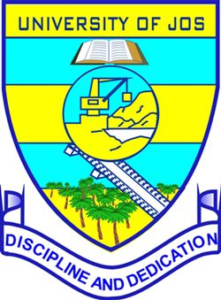 All newly 100 level students of the university of Jos who have just been offered admission should take note of this ; you are are expected to pay 25,000.00 as acceptance fee. This is one of the cheapest acceptance fee i have personally come across. Note that if you delay in paying it, they might force you against your wish to pay extra fee as acceptance fee. In our next article we shall be discussing on the process involve or you need to follow to pay this fees. Paying your school fees and acceptance fee does not exonerate you from paying other minor fees that the institution demands from newly admitted candidates. You all know that running a university is not that easy and the government is not funding them adequately hence the need to add this little fee to make up. We shall provide you what you all shall pay when you get to 200 level. Also those already in 200 level should please take note about this fees. Although it’s not that expensive like that of new students. UNIJOS remains one of the few university that understands the importance hostel accommodation plays in the live of her students. You shall pay 13,200.00 as hostel accommodation fee. Honestly do you know that ABU Zaira don’t have an accommodation, the last time we check the VC was lamenting that for over 45 years the school has not built a single hostel. We love your comment don’t fail to drop one.